You operate your PICO sensor via Bluetooth Technology© and visualize the measuring values via Android smartphone or tablet. 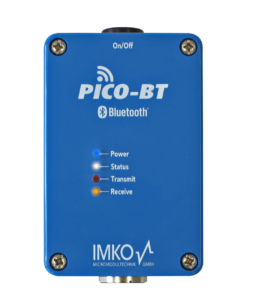 PICO-BT is made for robuste use and works even under extreme conditions. 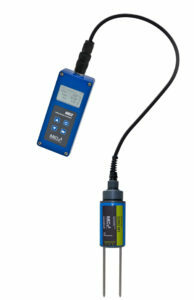 You just want to quickly check the moisture of the recently delivered sand or gravel? Or find out if the moisture of the material is suitable for the next processing steps? Ensure the quality on site when you need to know it. With the handy two-rod probe SONO-M1 you measure moisture precisely in sand, gravel, grit and other aggregates. 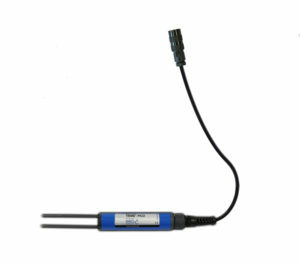 The intelligent rod probe PICO64 contains modern electronics in moisture measurement technology especially for field operation. It is ideal for monitoring systems to measure soil moisture, temperature and electric conductivity in soils and other porous material. Unique is the integration of probe and TDR Evaluation electronics in one single sensor. With the TRIME rod sensor PICO32 of IMKO you gain a maximum of accuracy. And you have a probe and Evaluation electronics integrated in one sensor. 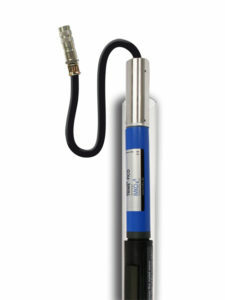 With TRIME-PICO IPH/T3 you receive moisture depth profiles fastly, reliably, non-destructively as well as completely without radioactive radiation sources. Identify moisture and salinity highly accurately with TRIME radar technology in selected soil profiles. The technology is ideal to manage irrigation, to create soil and water balance models and to control the saline load in different soil depths.